The problem with having more than 1 blog and a few social networking to maintain is, sometimes you forgot what you published or not published yet. Well some of you might still remember I post about this socks in my previous post. 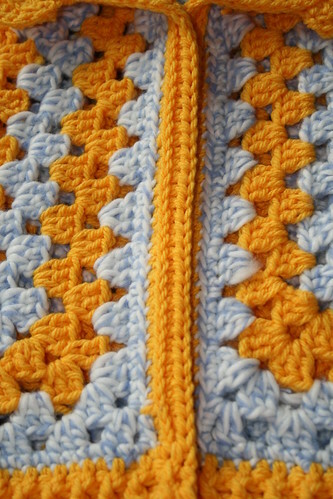 I manage to made a granny jacket with the same color. This baby jacket and baby sock arrived safely in my hometown Medan. Yes I made those for my new nephew. 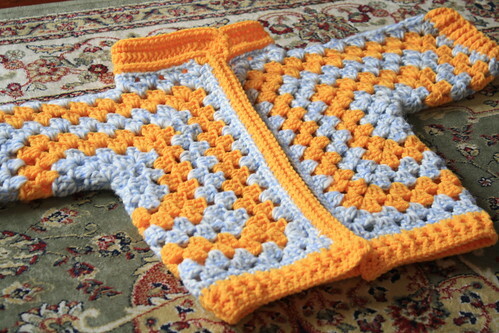 Actually this is not the first time for me to make a baby granny jacket. I modified from my memory making the first one. This time I just modified the collar part. I use smaller type of yarn for this second time, and I have to add more rows to make the size ok. Actually Iâ€™m just guessing the size. My nephew was born premature, Iâ€™m sure this jacket will be too big for him and will fit on him until he is 1 year old. 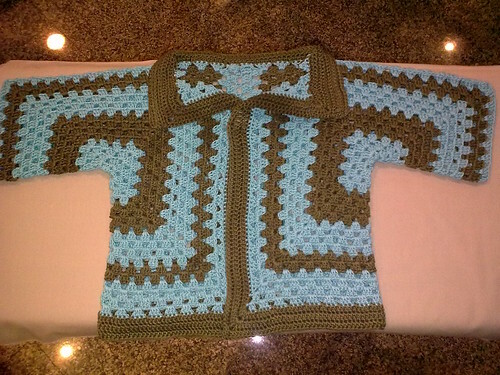 The first time I made baby granny jacket is on December last year as a gift for one of the security lady in our apartment. 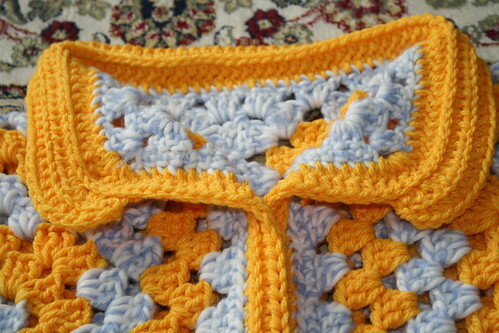 I get the basic pattern from Hexagon Granny Baby Jacket. I modified the collar, cuff and the bottom part of the jacket. I posted this on my multiply, and it made me forget to blog it here. The detail picture of the front side. 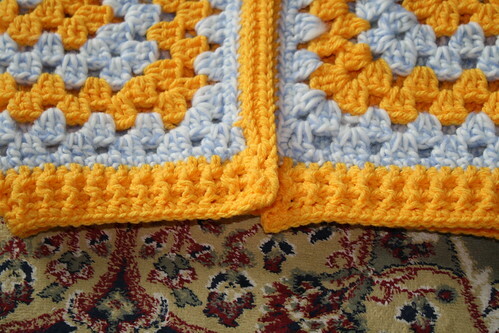 I used hdc stitch and for the second row I took only the front loop of previous hdc row. The detail picture of the cuff. 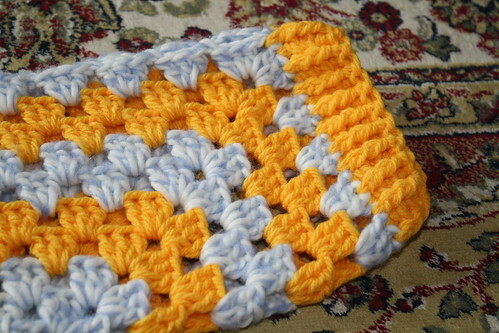 I use using fpdc and bpdc stitch here. Anyway, making this baby granny jacket is very easy once you know how to fold the hexagon part to be half of the jacket. You can add the body part after you fold it if you want to have the body part is longer than the sleeve. I believe you can find many instructions how to do this around internet, so I wonâ€™t make the instructions for you (lazy me :P). 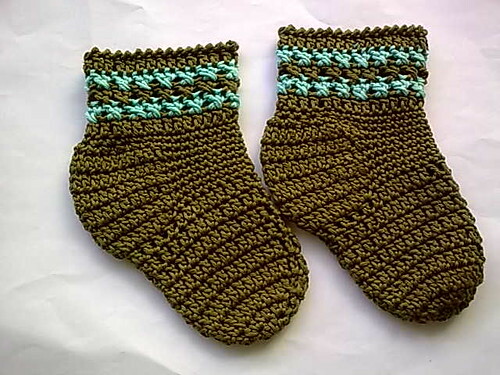 Just play with the color, but If you are too lazy to change the yarn color, I think itâ€™s still okay to use single color. @yuni: Salam kenal juga, pola yg saya ikutin bukan dari buku Thata pang, tapi basically sama sama aja sih, cuma beda jumlah rantainya dan cara join tiap puteran. Mungkin bisa dicoba untuk melonggarkan tarikannya?